The incarcerated rapper’s breakout single has hit another milestone. Tay-K's single "The Race" has been certified platinum, the R.I.A.A. announced this week. 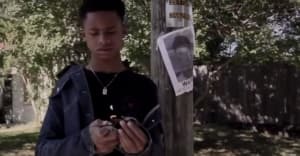 The video for the song was released on June 30, 2017, and was reportedly filmed after Tay-K had fled house arrest (Tay-K was awaiting trial for the murder of 21 year old Ethan Walker. He will be tried as an adult). Since its release, the music video has amassed over 107 million views. The song's popularity has led to remixes by artists like Lil Yachty, 21 Savage, and Young Nudy, and a peak of No. 44 on the Billboard Hot 100 in September. Tay-K (real name Taymor Travon McIntyre) is currently facing two murder charges and one count of aggravated robbery.